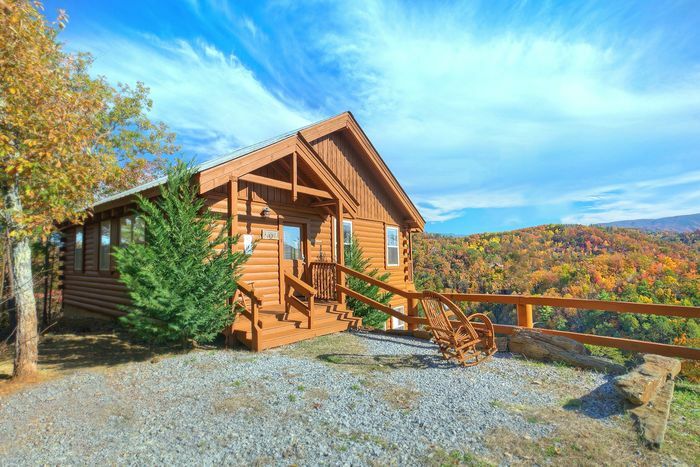 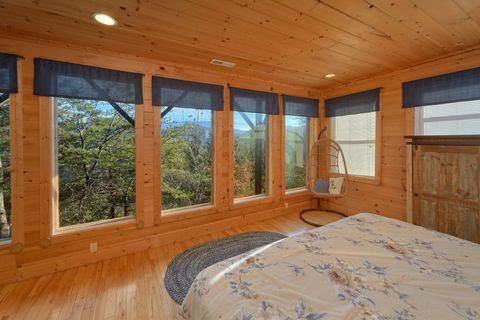 Your Pigeon Forge Wears Valley cabin rental, "Higher Ground," offers some of the most spectacular views of the Smoky Mountains while still resting just minutes from action-packed downtown Pigeon Forge! 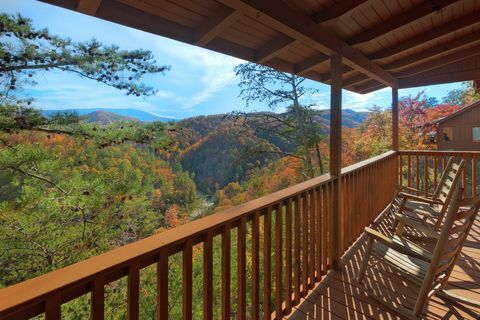 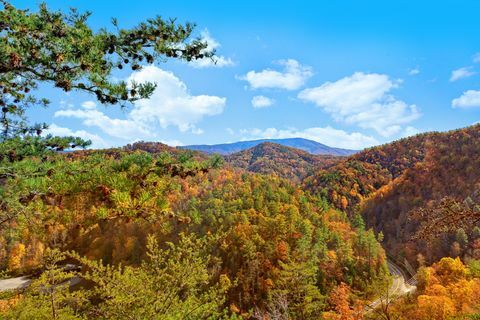 Enjoy the majestic views from Wears Valley cabin in the Smokies all year long, though autumn offers particularly magical views from this property. 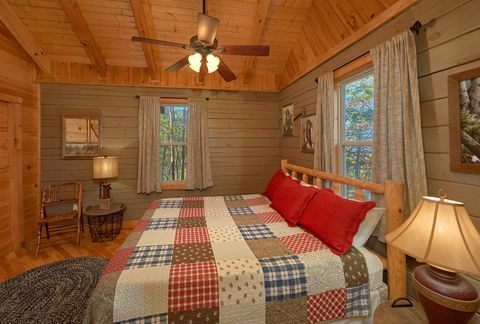 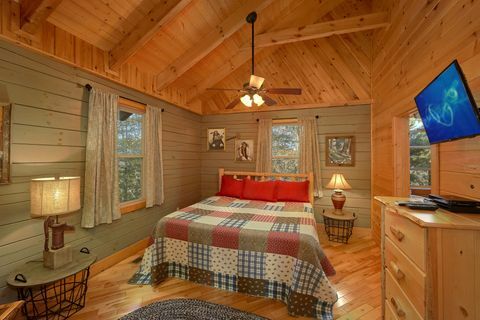 Your Wears Valley cabin boasts a comfortable master suite and sleeping accommodations for up to 6 guests. 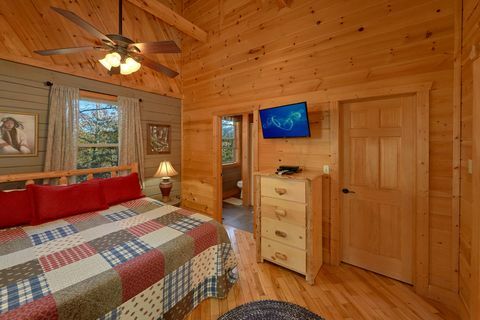 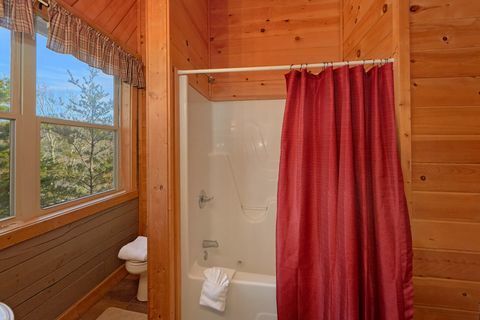 The master suite on the main level offers a king-size log bed, television, and full bath with jacuzzi tub for two. 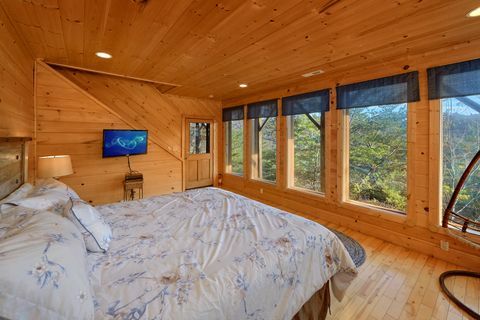 Downstairs, another spacious bedroom provides a comfortable queen-size bed, television, and beautiful views of the surrounding landscape. 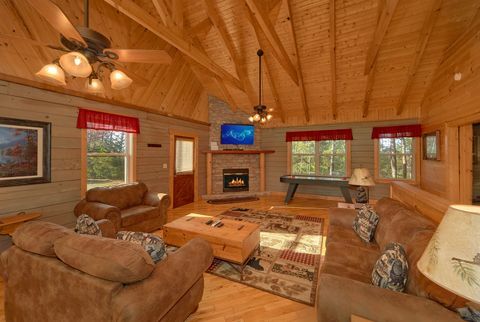 A sleeper sofa rests across from the cabin's electric fireplace in the spacious living room. 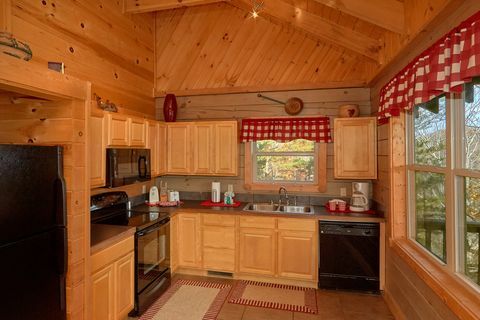 Many of the cabin's rooms feature large panoramic windows for taking in the phenomenal, breathtaking views, including the dine-in kitchen with plenty of counter space for preparing family meals. 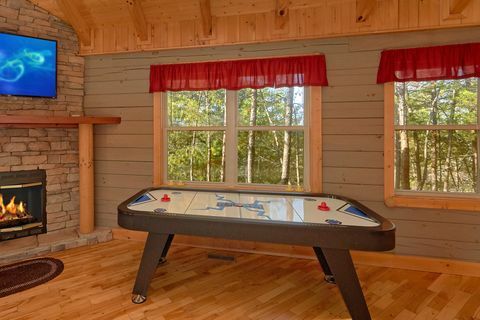 After dinner, keep the fun going with a little air hockey or head into Pigeon Forge for the nightlife. 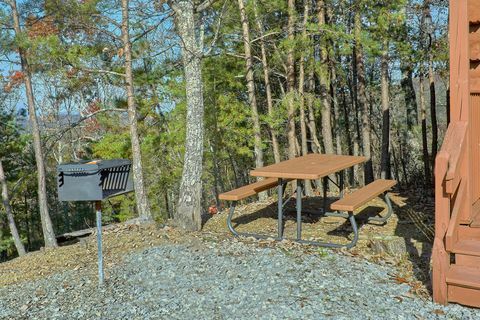 Enjoy the great outdoors and spectacular sunset views from your cabin's two large decks as you prepare dinner on the charcoal grill or relax in one of several rocking chairs. 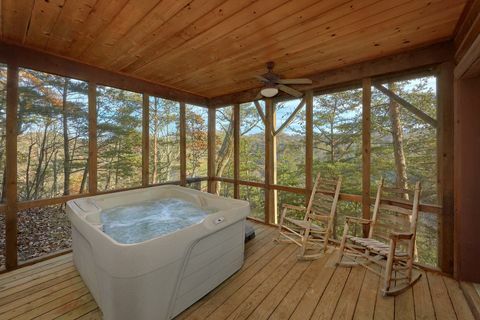 Your hot tub provides a great spot to relax. 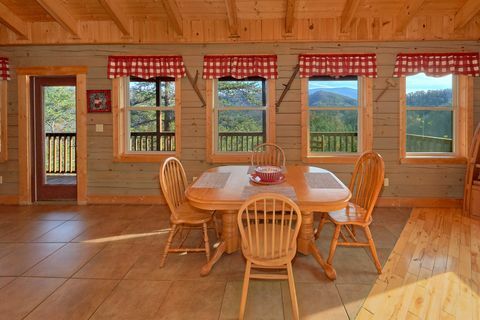 Have a large group and need several cabins within walking distance of each other? "Hilltopper," "Bear Hugs," and "TipTop" cabins are perfect for family reunions to church retreats that rest near your Pigeon Forge Wears Valley cabin. 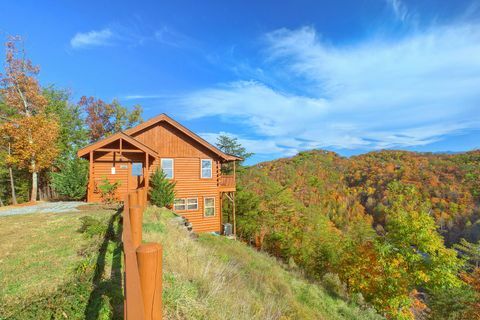 These vacation rentals rest high in the mountains and we recommend four-wheel drive vehicles during the winter months. 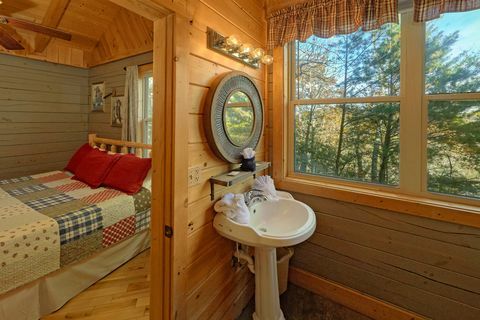 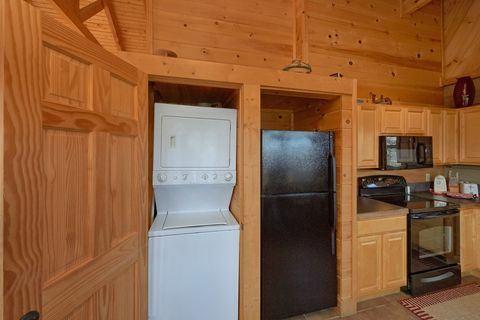 Book your Pigeon Forge Wears Valley cabin online with Cabins USA to get your immediate Wears Valley Cabin Rental Special!